The event in Berlin still has several days left to run, but here are the biggest trends we've seen so far. If the companies hawking gadgets at IFA are to be believed, every appliance in our homes will soon be connected and controlled from a smartphone. LG Electronics rolled out the SmartThinQ sensor, which can be attached to existing appliances such as washing machines and refrigerators to make them smarter. Attached to a washing machine door, for instance, it can tell you when your wash is done. The company also announced a connected oven and air conditioner. European appliance maker AEG also showed a connected oven --with a built-in video camera so you can see from afar when your roast chicken is browned to perfection. 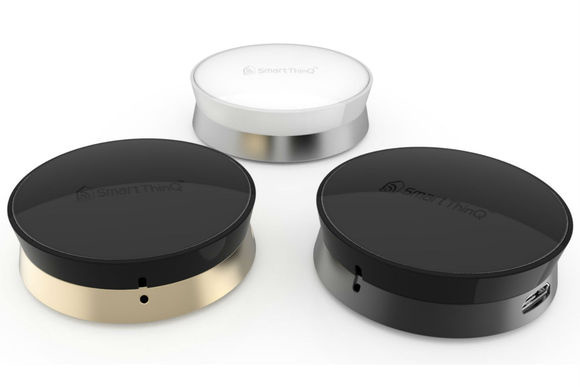 And Samsung Electronics launched the new SmartThings home automation hub, and unveiled the SleepSense sleep tracker. 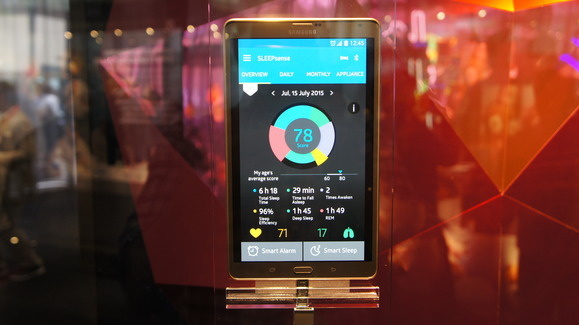 Samsung's SleepSense, which it announced at IFA, comes with an app that lets users keep track of their sleep patterns. The connected future won’t be as straightforward as vendors here make it out to be, of course, with appliances from different suppliers all humming along in perfect harmony. They don’t mention what might happen if your heating system gets hacked, how the data collected from these systems will be used, or how complicated things could get when multiple vendors have their own apps to control things. Hold tight, it could be a bumpy ride. Motorola, Samsung and Asus all launched new smartwatches, and if there was a common theme it was more choice. That includes in sizes, designs, colors and wristbands. Motorola and Asus both showed two sizes of their respective watches, the Moto 360 and the ZenWatch 2. 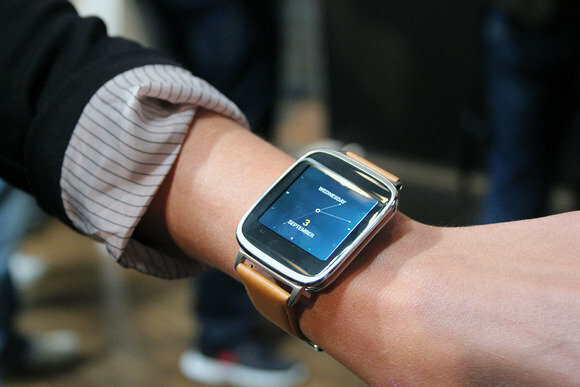 The ZenWatch, with an oblong face, is available with a 1.63-inch or 1.45-inch display. The screens on the round Moto 360 measure 1.56 inches or 1.37 inches. While the 360 and ZenWatch 2 are based on Google’s Android Wear, Samsung is betting on its Tizen OS, used in the Gear S2 and S2 classic. Samsung is also going against the grain by using a rotating bezel to control the interface. The watches will all be shipping by the end of October. Roaming the halls at IFA, you could also be forgiven for thinking the PC industry is doing well. With Windows 10 now out, manufacturers hope Intel’s new Skylake processor will give them a much-needed sales boost. One group they're all going after is gamers. Acer announced new Predator laptops that will compete with Asus’ G752. 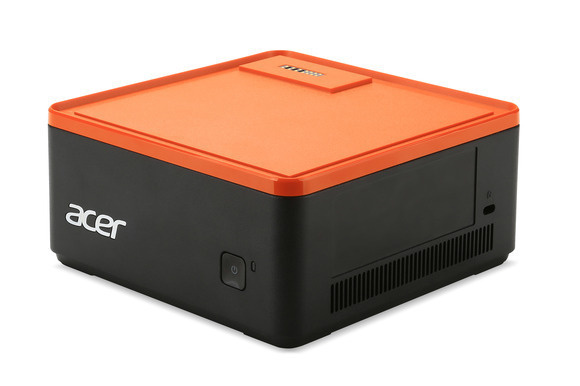 Acer also unveiled the intriguing Revo Build, a PC made up of blocks stacked on top of each other. The base model will cost €199 ($220) when it goes on sale in Europe in October. TVs have been big part of the IFA lately, and this year was no different. The main trend was the addition of HDR (high dynamic range), which is meant to improve contrast and color reproduction. LG and Panasonic showed 65-inch OLED TVs -- the 65EF9500 and TX-65CZ950, respectively. The image quality on the Panasonic looked impressive under the optimized conditions on the show floor here. Pricing wasn’t announced, but you can be sure that neither set will be cheap. Sony is also betting big on HDR, and said it will upgrade many of its existing 4K TVs to support the technology. However, even with a TV that’s HDR-compatible, there isn’t much content yet to watch. Amazon is leading the way here.